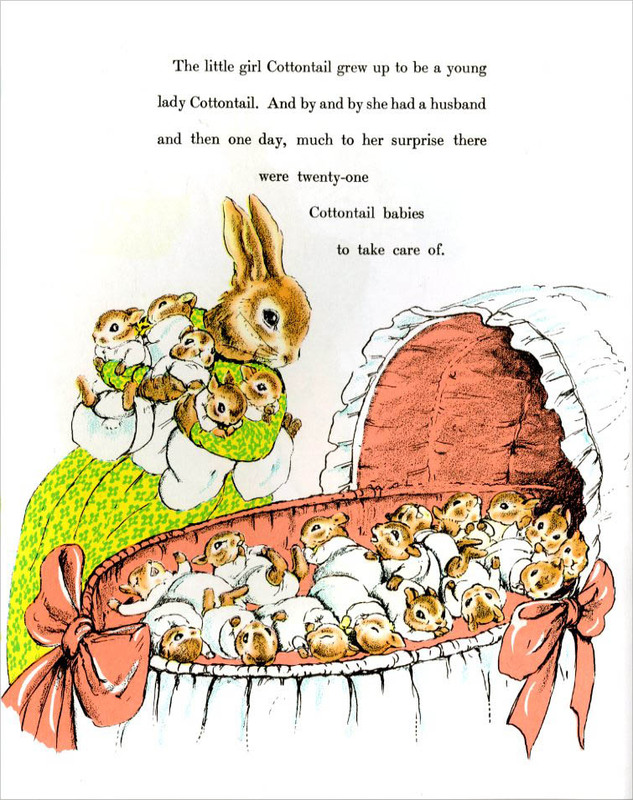 The eNotes Blog: The Country Bunny and the Little Gold Shoes…or Feminist Bunnies, Unite! 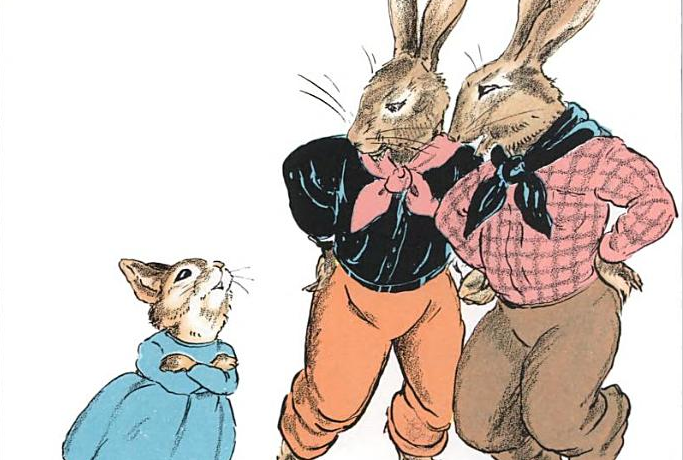 The Country Bunny and the Little Gold Shoes…or Feminist Bunnies, Unite! The Country Bunny and the Little Gold Shoes was one of my very favorite books when I was a little girl in the early-mid (cough) 70s. 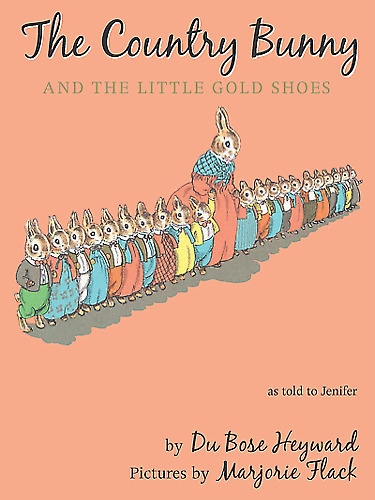 I didn’t really know it then, but this engaging tale of a single mother bunny who works her way from the lowly ranks of a worker to becoming the Easter Bunny, champions feminist ideals. From the time the protagonist bunny is a little girl, she insist that she will become an Easter bunny, despite the people who doubted her and despite the fact that Easter bunnies were, and had always been, boys. For a while, the mother puts her dream away. But as soon as the children get big enough, she gives them all special chores to do. Everyone is finally able to take care of the home while she, once again, pursues her dream. There are trials and set backs, like a twisted ankle, but the tenacious mother overcomes them all. She fulfills her dream of being an Easter bunny, her children are FINE and better FOR having a mother who is happy and fulfilled. In the early and mid-seventies, none of these messages seemed particularly radical to me. After all, Second Wave feminism was in full swing and all of the ideas in Du Bose Hayward’s story were ones I heard all the time. Maria on Sesame Street sported a tool belt, Helen Reddy (God help us) was belting out “I Am Woman, Hear Me Roar” (Yes, really, young ones.) I saw Gloria Steinem on television and on the covers of magazines at the checkout counter. Several of my teachers were called “Ms.”, not “Mrs.” or “Miss” and I didn’t think it odd. BUT this quiet little book was written not in the 1970s, but in 1939. You might better know Du Bose Heyward for the adaptation of his novel Porgy, which became the Broadway sensation, Porgy and Bess. 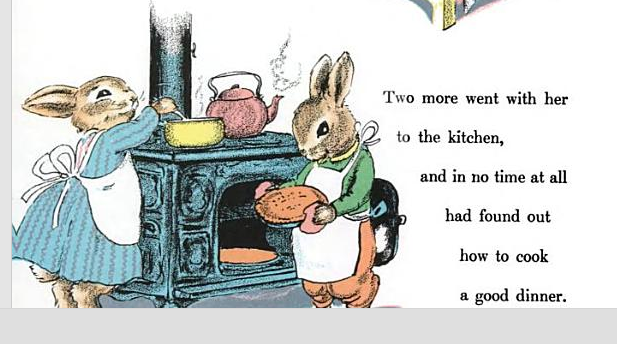 Put that in your corn cob pipe and smoke it, Peter Rabbit! I loved this book when I was little. I forgot about it completely until I read your post 🙂 How awesome.